Super GOOGLE PLACES optimization Service ! Boost your Google Places LIST RANKING. I will create 135 Maps Manually referring to your Google Places PLUS Citation listing to optimized your local place ! 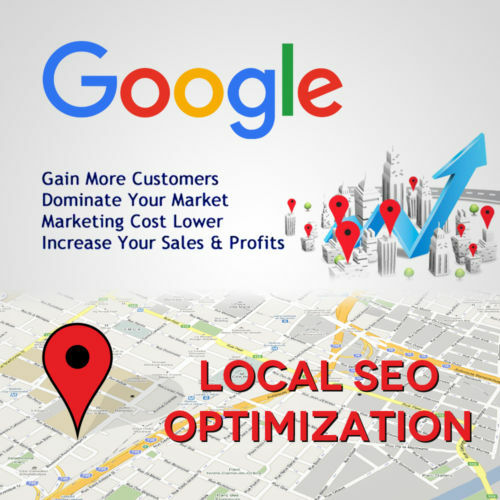 Any Local SEO must include Citations to help Boost the G+ Local Page . I will put citation into maps . In other words, a Google citation is more of a validation by the Google search spiders that your business is real and your NAP(name, address and phone number ) is accurate. Each Map will contain Keyword, Description, Business name, Adress, Phone Number and **KML** File. We use local City IP to make it more powerful. All maps are 100% Manually Created . Get Ranked in Top Google Listing ! Start Getting More Local Customers Today! Higher Rankings for your Google Places Listing ! The maps will be created in 5-7 days ! We always OVER DELIVER !!! Optimize Google Places Listing with 135 Maps PLUS Citation, Google Rank, SEO is ranked 5 out of 5. Based on 15 user reviews.